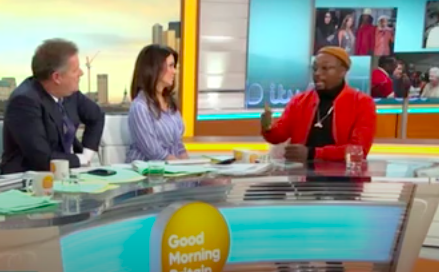 Will.i.am broke down while talking about Kanye West’s tweets during an interview on Good Morning Britain. The singer said he felt like he ‘wanted to cry’ while discussing Kanye’s latest tweet, in which he claimed slavery was a ‘choice’. 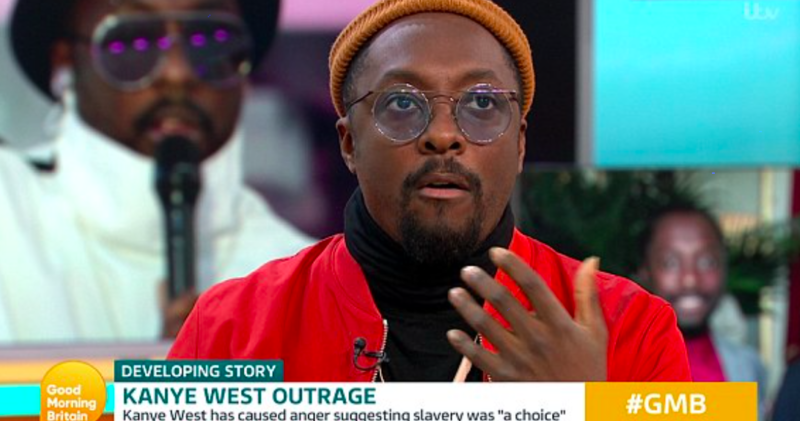 Will.i.am branded the tweet ‘ignorant’ and the remarks Kanye had made ‘harmful’. During the segment, he looked down the camera and left his friend a message. When you hear about slavery for 400 years … for 400 years? That sounds like a choice. Like, you was there for 400 years and it’s all of y’all? It’s like we’re mentally in prison. I like the word prison because slavery goes too direct to the idea of blacks. It’s like slavery, Holocaust. Holocaust, Jews. Slavery is blacks. So, prison is something that unites us as one race. Blacks and whites being one race. We’re the human race. Will.i.am, understandably hurt by the comments, was on GMB this morning (May 2), where he addressed Kanye’s words. That [tweet] broke my heart, because I thought about my grandma, who was born in 1920, and her connection with her mom who raised her, who was born in the late 1800s. And my grandmother’s grandma, who was a slave. And when you’re a slave, you’re owned. You don’t choose if you’re owned. When you’re a slave you’re deprived of education. That’s not choice, that’s by force. That when they go down the street and there’s a liqueur store and fast-food restaurants and your education is not being funded the same way that it is being in Calabasas, when governments stifle and limit the amount of money that goes to Chicago, Bronx, Watts, 5th Ward Mississippi, East Los Angeles, where I’m from. Will.i.am said he knows Kanye, but doesn’t understand what’s going on with him or what he’s saying. To me, that’s a different person that’s saying that. I hope it’s not to raise awareness so you could sell some records and some shoes, because that would be the worst thing to do, to stir up this very touchy race situation and you be the benefactor from it. So I encourage you, if you really believe this, give your shoes away for free, give your album away for free. And I don’t like talking about going against my community, but that is harmful. I will not throw my ancestors under the bus to profit. To make myself clear – of course I know that slaves did not get shackled and put on a boat by free will. My point is, for us to have stayed in that position even though the numbers were on our side means that we were mentally enslaved. They cut out our tongues so we couldn’t communicate to each other. I will not allow my tongue to be cut. The reason why I brought up the 400 years point is because we can’t be mentally imprisoned for another 400 years. We need free thought now. Even the statement was an example of free thought. It was just an idea.